Nvidia Corporation is an American technology company based in Santa Clara, California. It designs graphics processing units (GPUs) for the gaming and professional markets, as well as system on a chip units (SoCs) for the mobile computing and automotive market. Its primary GPU product line, labeled "GeForce", is in direct competition with Advanced Micro Devices' (AMD) "Radeon" products. 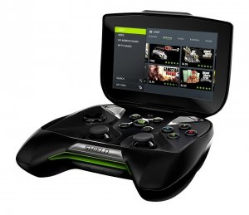 Nvidia expanded its presence in the gaming industry with its handheld Shield Portable, Shield Tablet and Shield Android TV. Since 2014, Nvidia has shifted to become a platform company focused on four markets – gaming, professional visualization, data centers and auto. Nvidia is also now focused on artificial intelligence. In addition to GPU manufacturing, Nvidia provides parallel processing capabilities to researchers and scientists that allow them to efficiently run high-performance applications. They are deployed in supercomputing sites around the world.More recently, It has moved into the mobile computing market, where it produces Tegra mobile processors for smartphones and tablets as well as vehicle navigation and entertainment systems. In addition to AMD, its competitors include Intel, Qualcomm and Arm (e.g., because of Denver, while Nvidia also licenses ARM's designs). 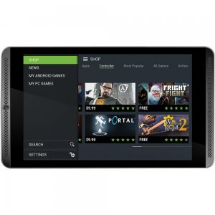 Sell Any Mobile is currently comparing 4 products of Nvidia from UK's top recycling companies of Nvidia that buys Nvidia products. Currently we couldnt locate any recycling that is paying cash for your Nvidia products or can trade in your Nvidia items. We update our database of 4 mobile phones, gadgets, game consoles, tablets, television, video games & mp3 players almost every 2 hours to get you the best price you can get in UK. If we detect any recycler or company can buy your Nvidia products for cash we will list them on our website.